Romania is uncharted territory for many travelers, but this beautiful country offers rich history, unspoiled natural wonders, and charming architecture throughout its land. And what better way to explore it all than going on a road trip? 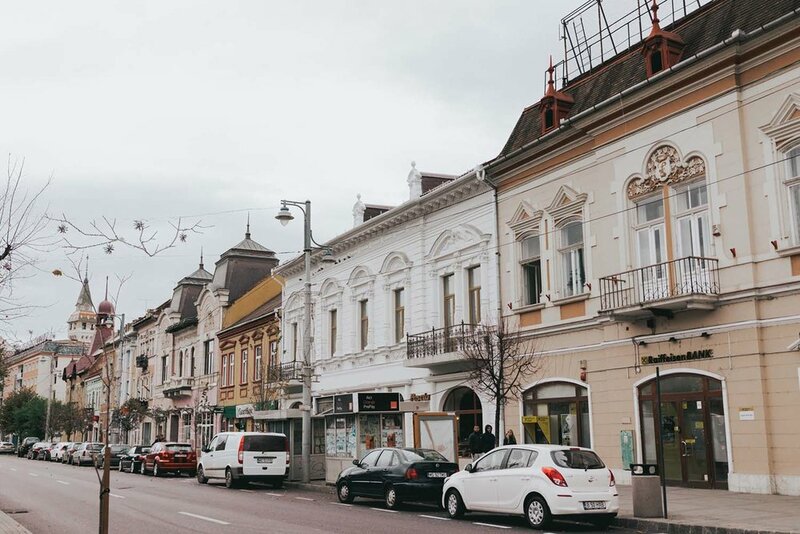 Driving in Romania provides great flexibility as it gives you the chance to experience all the charming towns along the way - and there are many places you may want to check out! Romania's capital is an excellent place to start your Romania travel itinerary. The city captures the country's wonderful blend of rich history, with modern elements, and sprinkled with byproducts of its communist past. In the 1900s, Bucharest was dubbed ‘Little Paris due to its elegant architecture and cobblestone street but then came the communist period. Juxtaposed with imposing buildings, Bucharest lands its other nickname - The City of Contrast. 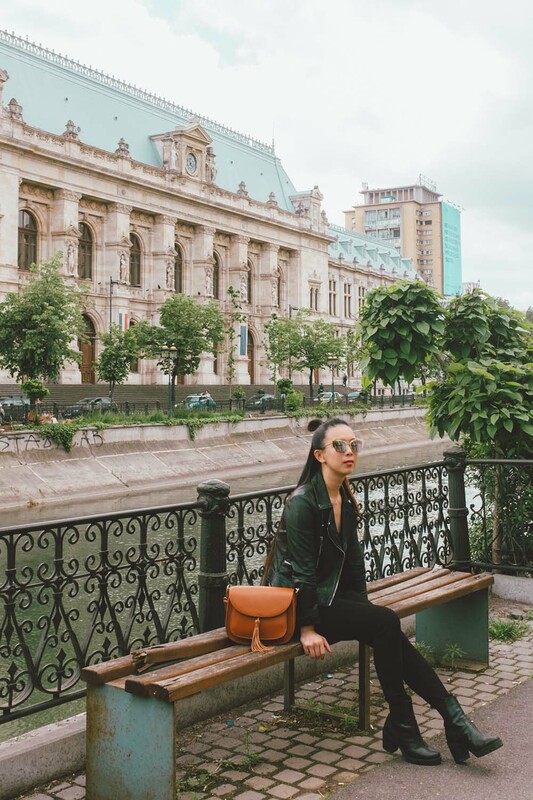 With such a vibrant lifestyle, there's no shortage of things to do and see in the Romanian capital, but the biggest attraction in size and fame is undeniably the Parliament Palace. It's the 2nd largest administrative building in the world - The No. 1 title belongs to the Pentagon. With over 3000 rooms and over 330,000 square meters, the Parliament building is a feast to the eyes with its lavish neo-classical design. For a walk down memory lane, visit the Old Town with buildings dating back to the 15th and 16th centuries. The Village Museum on the shores of Lake Herastrau is another iconic place to visit and experience the traditional way of life in the countryside. 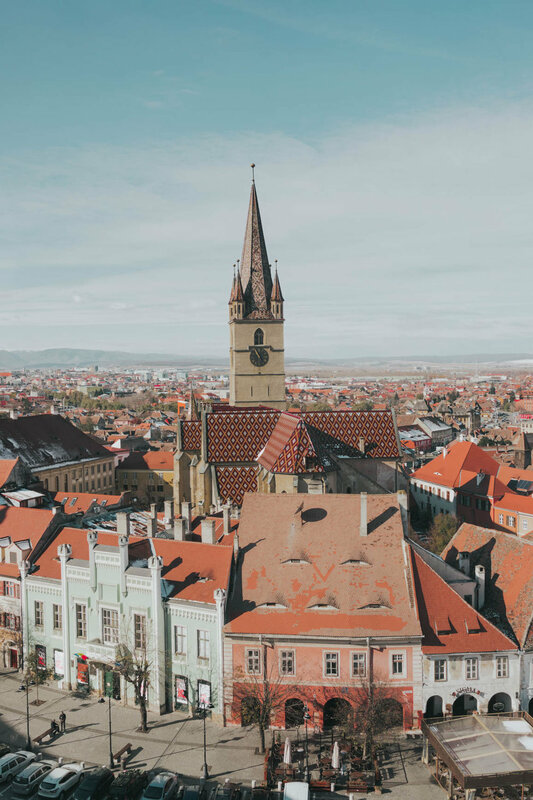 Sibiu is one of the most famous and one of my favorite cities in the country - well deserving of a spot on your list of places you must-visit when planning a trip to Romania. Sibiu is teeming with activities and life, yet still maintains its small-town charm thanks to its beautiful architecture and design. In 2007 the town won the prestigious title of European Cultural Capital, and in 2008, it was ranked at the top of Forbes Most Idyllic Places To Live. 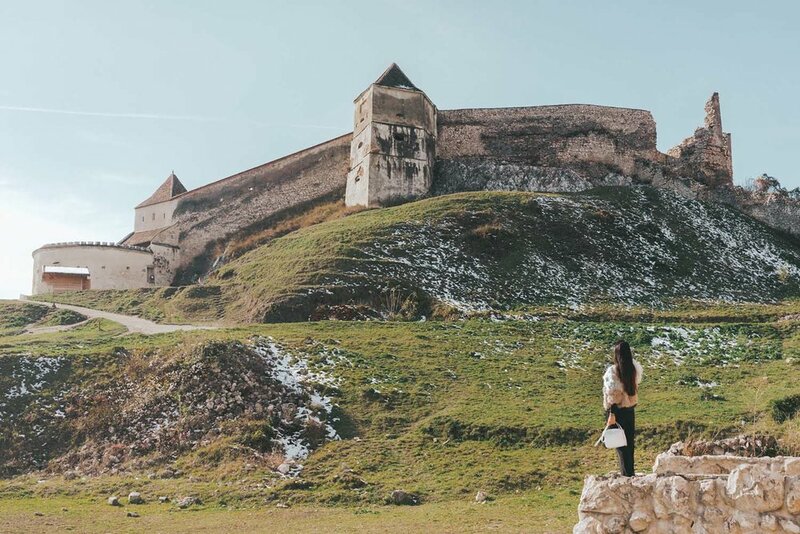 When driving to Sibiu, make sure to stop by the Castelul de Lut Valea Zanelor to check out its unique design resembling a fairy tale castle! Târgu Mureș lies in the north-central part of Romania along the country's second longest river the Mures. The city dates back to 1322, and over the years, it has become a melting pot of cultures and influences from other Romanian towns. Its architecture, for example, features baroque, neoclassic and Secessionist style. Targu Mures is considered one of the most beautiful towns in Romania - well, we are visiting the best cities in Romania after all. Its biggest attraction is the Palace of Culture built between 1911 to 1913. It hosts both the history and art museum which has over 1000 paintings and a library with - bibliophile brace yourself - over one million books! 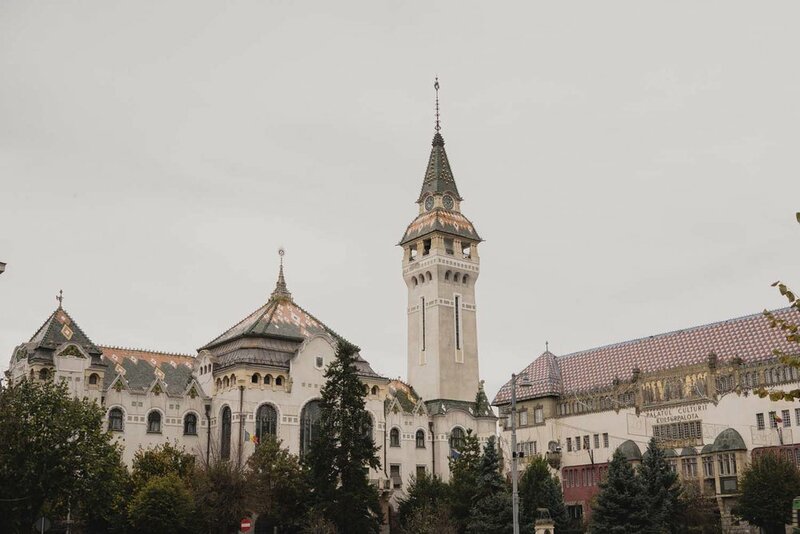 Targu Mures' other top attractions include a medieval citadel, the imposing Orthodox Cathedral, the Teleki Bolyai Library - one of the oldest in the country - and the National Theater. The main square, Roses Square is a great place for leisurely strolls. On every third Friday of the month, you will find the Farmer's Market set up - a great place to taste local food and pick up a few handmade souvenirs. Surprisingly, one of Romania's most renown hotels is located in Targu Mures. You can read all about Hotel Privo here. 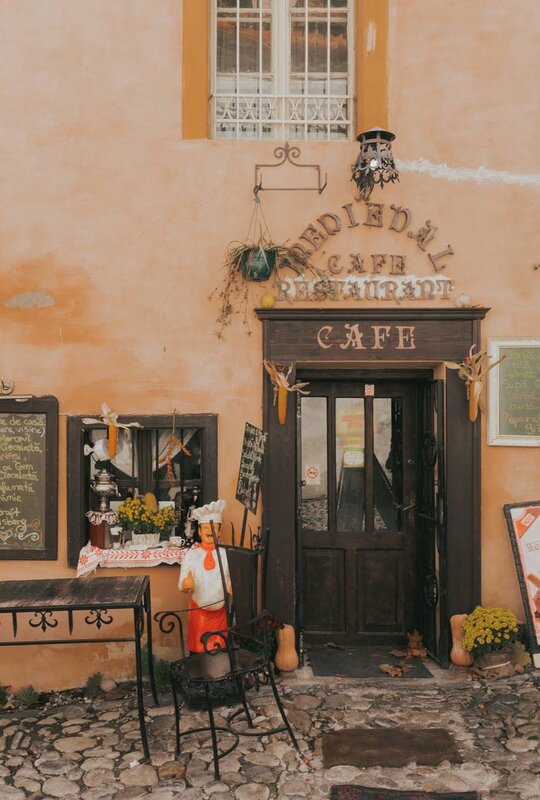 There are plenty of history and myths to be found in Sighisoara, a city so rich in beauty and heritage it got listed by UNESCO Heritage Site. While its narrow alleys and colorful houses make it look like a scene from a Disney's movie, the town is actually home of the infamous Vlad the Impaler - who later inspired Bram Stoker's Dracula. Sighișoara is considered one of the most beautiful and well preserved inhabited citadel in Europe. 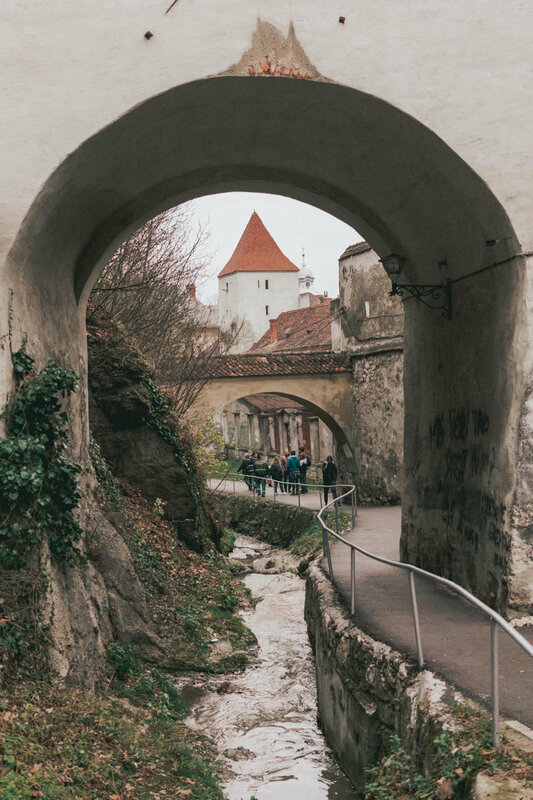 The town dates back to the 12th century when the King of the Hungarian Kingdom invited Transylvania Saxons mostly German artisans and merchants to settle in the territory and to defend it - as Saxons were masters at building stone fortresses. Its most prominent feature is a 64-meter high and beautifully preserved Clock Tower built in 1556 which guards the main entrance into the city. The tower is visible from any part of the town and once served as the city hall. It's currently used to house the History Museum of Sighisoara. Although you could explore the small town in just a few hours, I recommend taking your time to enjoy every little nooks and crannies. Start your excursion by checking out first the Clock Tower - climb all the way to the top for a panoramic view of the town - Definitely a must on your Things To See in Romania list. Then take a stroll through the open squares and down the narrow streets. You won't be able to resist the cute cafes and shops. Photographers, won't be able to put down their camera in this charming town. If you are a Dracula fan, for 5 Lei (less than a dollar) you can visit the house where Vlad the Impaler was born. If you are feeling adventurous, rent a bike here and make your way to the Monastery of St. Demetrius Sighisoara. On your way, you will get a chance to admire the beautiful countryside scenery. If you love the mountains as much as I do and would like to include more nature into your Romania road trip, you can add to your itinerary Mountain Rarau. The entire area is lush and mountainous, perfect for those who can’t get enough of Romania landscape. It’s basically on the way to Bucovina from Targu Mures when you take the E58. We hiked up a small trail in the forest located right behind Cabana Rarău. We used the hotel as a reference as there are other attractions nearby like the Pietrele Doamnei, or Piatra Şoimului. But no matter where you go, the entire area is a hiker’s paradise. Bucovina is actually a small region unlike Transylvania that takes up a big part of Romania, but it's the place to be if you want to escape the bustling crowd of the cities and in search of an idyllic atmosphere. 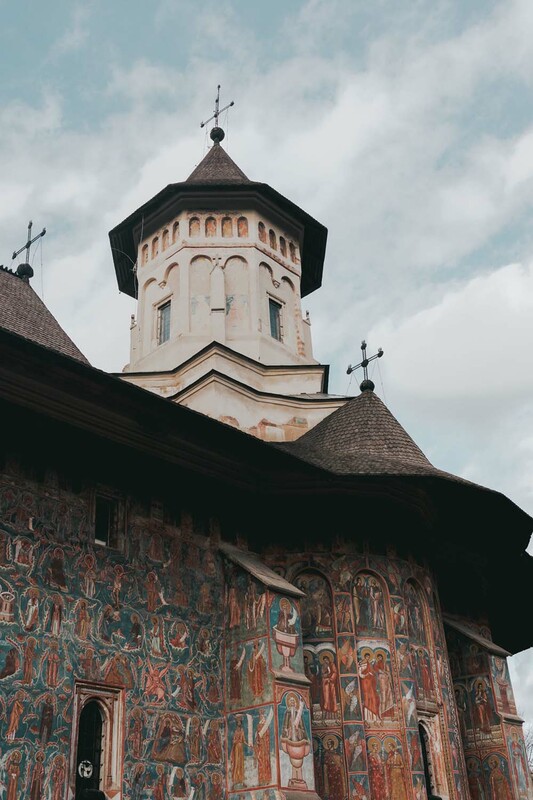 Bucovina or Bukovina is famed for its colorful and distinctive monasteries which have outlasted harsh weather and brutal winters. 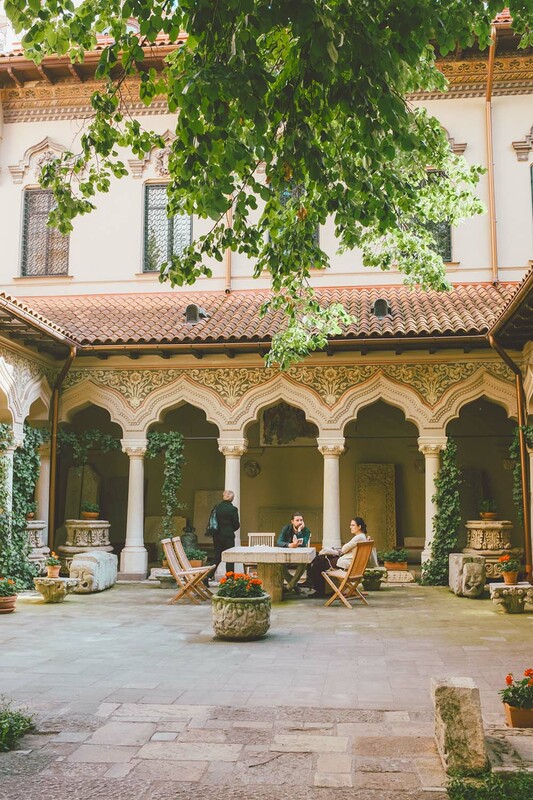 The painted exterior walls are decorated with elaborate 15th and 16th-century frescoes featuring stories from the bible. The best-preserved monasteries - 7 of them - are listed under UNESCO heritage sites. 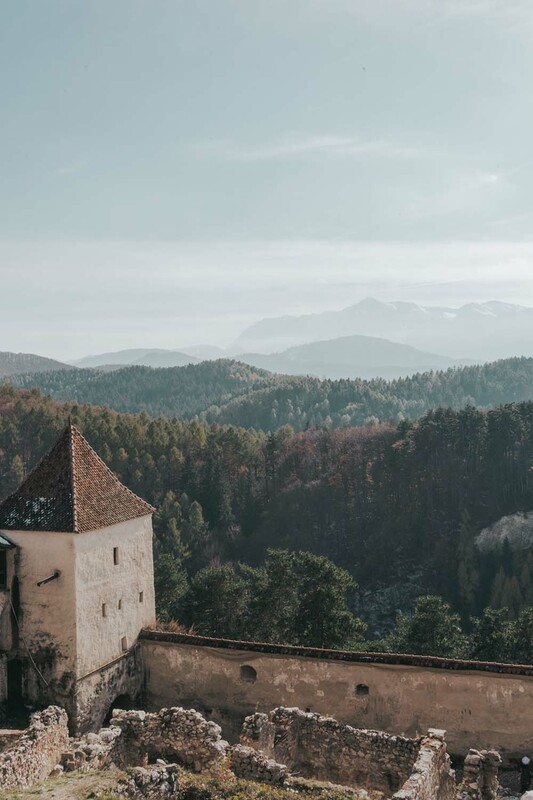 Whether you visit for religious, historical, or architectural reasons, paying a visit to one of the monasteries is a must on your Romania road trip. The surrounding areas it's also a great way to take in some fresh air and explore the local culture as it offers hiking and mountain climbing opportunities, museums, and plenty of ways to sample the local custom and cuisine. 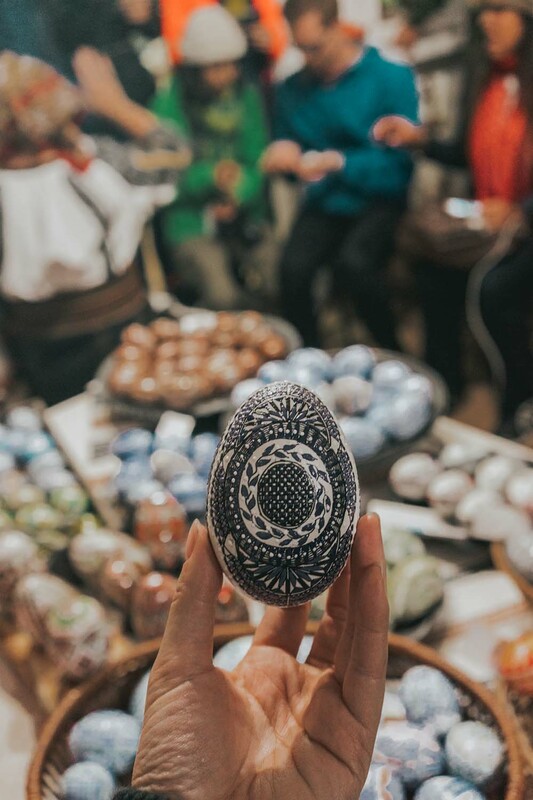 Discover the customs of painting eggs in the Egg Museum - Muzeul Oului Vama - and learn how they are created. Try the famous and soul-warming Radautian soup in the City of Radauti. The Bucovina Village Museum offers a chance to learn more about the customs and way of life in the countryside. Check out the natural pool of Balneary Station of Vatra Dornei - visit in the winter, and you get to ski too! History buff can also enjoy a visit to the Suceava Citadel and the monastery of Putna. Famous for its design, the Suceava Citadel fortifications were able to hold off an attack from Ottoman Sultan, Mehmed II. From its unique architecture to top museums, to vibrant nightlife to enthralling landscape, Brasov seems to have something for everybody. But there's no denying, Brasov is certainly for the ski lovers! Thanks to its proximity to the Southern Carpathian Mountains, there's an abundance of ski resorts at the outskirt of the city in the neighboring town of Poiana Brasov. The Black Church - Brasov's famous landmark and Romania's leading gothic church. Located near Graft Bastion, there's a wooden staircase that takes you all the way to the top - all 200 steps - where you can enjoy a great view of the old town. Soak in the beautiful scenery at the Council Square lined with beautiful merchant houses located at the heart of medieval Brasov. Stroll through the narrowest street in Europe, Strada Sforii. For the outdoorsy, rejoice because there's a wider array of options. Beside snowsports, you can also hike to the top of Mt. Tampa - where Vlad Tepes impaled 40- noblemen further earning his reputation as the impeller. If you are an animal lover, make sure to check out Libearty Bear Sanctuary Zarnesti. 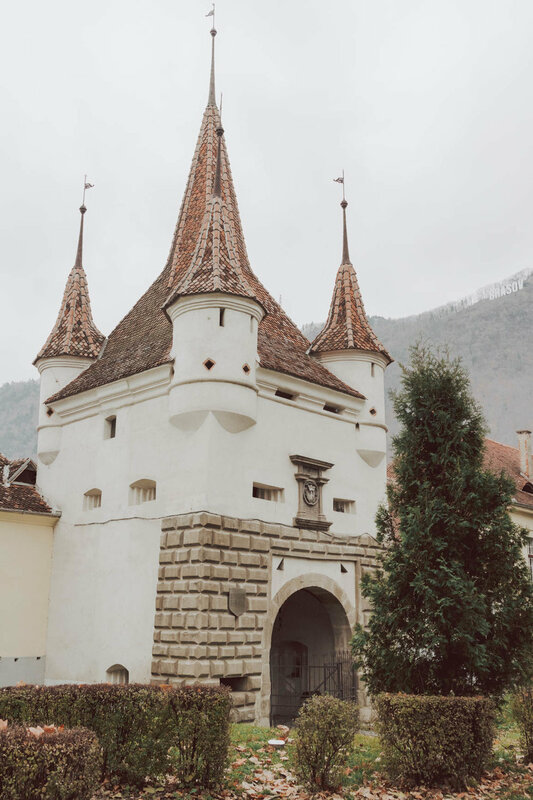 You can't visit Romania and not tour Bran Castle - located 30 minutes away from Brasov - is probably the best known national monument in Romania. If you have never heard of this castle before, it's because you may know it as Dracula's castle. The landmark now turned museum is dedicated to displaying art and furniture collected by Queen Marie of Romania. So hold back some expectations if you were planning to see vampires or gory artifacts. Why should I visit Romania? Romania may not be as world-famous as its western neighbors, but it boasts the most biogeographical diversity in Europe. Romania is the country of Transylvania, the Bran Castle and Dracula, as well as the Carpathian Mountains and the Black Sea among other legendary attractions. It is also famed for its wines, wildlife, and skiing slope, giving you a wide range of things to do and places to visit in Romania - highly underrated! Planning a trip to Romania? Pin it!